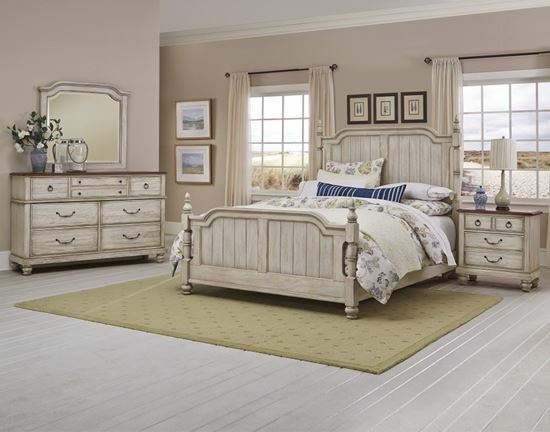 Arrendelle bedroom collection offers a classic design with generously proportioned tops, with gently rounded corners, cap the case pieces, which also feature waist moldings for balance, and gracefully turned feet. Solid wood drawers have shaped edges and are adorned with an assortment of bail pulls, rings, and knobs, all specifically designed for this collection. 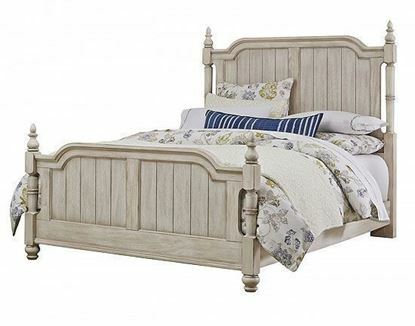 Beds feature lovely turned posts, bonnet style cap rails, and framed and grooved panels. A unique embossing technique, enhanced by significant hand distressing give Arrendelle a time-worn, antique appearance.